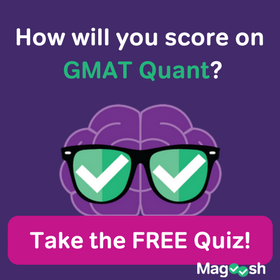 Don’t get caught assuming too much on the GMAT. 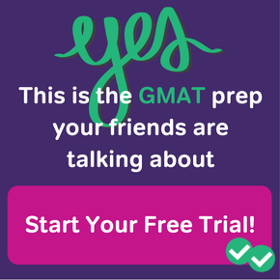 They are looking for students to make big assumptions when they are trying to save time. In this Data Sufficiency question, there is a big trap for anyone who assumes too much about the problem. For more practice with traps on Data Sufficiency questions, click here. 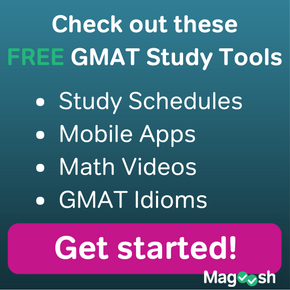 5 Responses to GMAT Tuesdays: Data Sufficiency – Watch Your Assumptions! 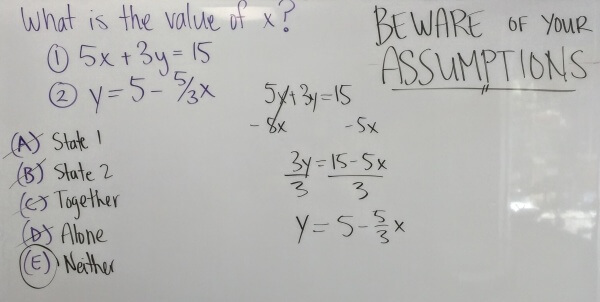 The problem is that both equations are exactly the same, but written slightly differently. So, you cannot plug in an equation into itself. Let me prove it! The reason you got an answer above is that there was a slight careless error in your calculations. I keep falling for this. sir how to join the events that you conduct ..?